There has always been a dispute over which is the longest novel in English Literature. Different researchers and critics have always taken different names. However, today I bring before you an easy access to whoever is intrigued by the mystery of the longest novel in literature!! After a lot of research, my work bore fruit for I found a fabulous guide to all the longest novels from around the world. Who hasn’t heard of Wikipedia? Every internet user, avid or immature, certainly knows what Wikipedia is. And if you do not (:gasp:), please click HERE. So, as I was telling you, Wikipedia came to my help again. It is there where I found a list of all the longest novels in the world. Did you know Wikipedia had a whole page dedicated to it? I’m sure you did not so here’s why I am sharing it with you! Like determining the list of tallest buildings, figuring the list of longest novels would yield different results depending on what criteria are used. While word and character figures are common standard, word and character become interchangeable depending on the language used. In alphabetic writing, several letters are combined to make a syllable, which are combined to make a word. In the Korean language, each letter expresses one syllable, significantly reducing the number of letters needed to express one word. Japanese, borrowing its word roots in part from Chinese, uses a combination of ideographs combined with syllabic symbols for inflection. I hope this was a help….and hey!! Do you not recognize some names out there? Please share your views and I would love to know which one out of them, you’ve read, without even knowing it to be one of the longest texts in history!! I am not such a big lover of classics but after my friend’s suggestion, I decided to give PG Wodehouse a try and oh boy, it was certainly worth it! 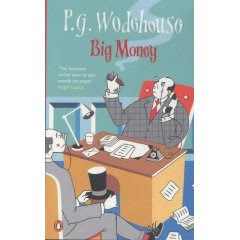 I read Big Money by PG Wodehousee and would suggest it to all those who love the taste of humor in writing. The story is about two friends Lord Biskerton or Biscuit and Berry Conway and their financial troubles. The twists and turns in the story make it difficult to keep down. The love life tangles of the two friends, the covetousness of their family, the knowledge of bogus shares not being so and so many other tiny parts of the plot make it an awesome read! Patterson Frisby is the miserly boss of Berry Conway, who is interested in a copper mine held by Conway. He employs his abettor, more of a bawling man who performs any duty a rich man will ask him to perform to be in the rich man’s good books. But Hoke gets a brain wave and spots the money making opportunity of a lifetime in the mine. And Big Money is not all about money, but equally balanced with a humorous love tale of two friends engaged to the same lady and then one deciding on other. By the summary I give you, I am certain you find he book interesting. 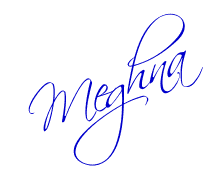 The style of writing is quite modern and well enough for a modern day fiction lover. The intricacies of the plot have you in splits at quite a few times throughout the book. A prudent read for all so go……..hurry and catch a copy!! The main aim of an author is to please the reader. And the most successful writers are the people who succeed. You know why? Because they keep in touch with the audience but do not write only for them. They write for themselves too and so do not loose their individuality. Most amateur writers are too obsessed with the idea of pleasing the reader. But they seldom remember to please themselves! Maybe you do get satisfaction after writing a post, maybe you enjoy the compliments of your readers, but before you decide, just read the post and think- DO I REALLY LIKE IT MYSELF? The first objective of pleasing a reader is to please yourself because remember that, you yourself are your biggest critic. There are people I know, who like writing long emotional articles but keeping an internet reader in mind, they cut down their posts to 10 lines just so the reader doesn’t flip away. More often than not, it reduces the quality of their work. I do not say it is wrong. Practicing new stuff is never wrong, but forgetting your first love and almost abandoning it, is not good either. So remember, while writing; first keep in mind YOURSELF and then the reader. Just try it once and then tell me if it helps! !